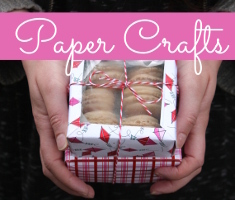 Make a magical box to hold your special trinkets, or as a fancy gift box. This entry was posted in Crafts, Family Crafts and tagged Craft Foam, dragon egg, Glitter, kid's craft. 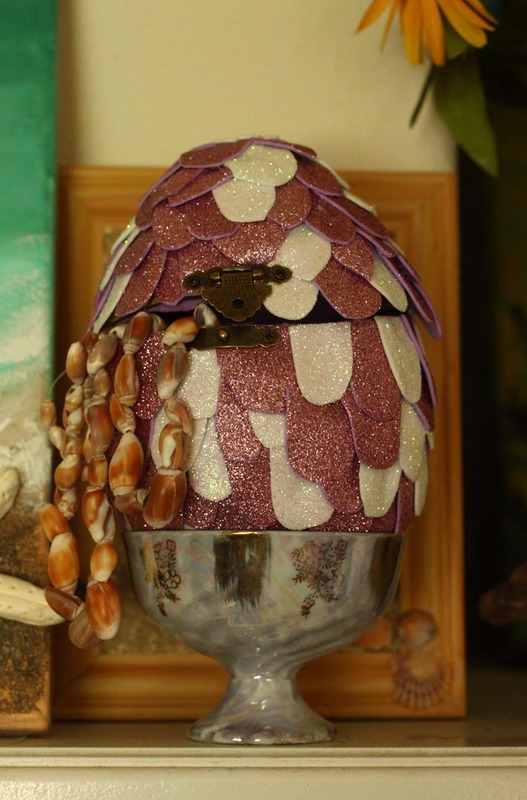 magical, mermaids, paper maché egg, Storage on September 13, 2018 by Michelle. At my house, we have so many types of tea that when it’s offered to guests, they panic from all of the choices. We’re huge believers in the power of a good cup of tea. Whether it’s peppermint for an upset stomach, chamomile to help you sleep, or even just the need for a caffeine jolt, we’ve got you covered. 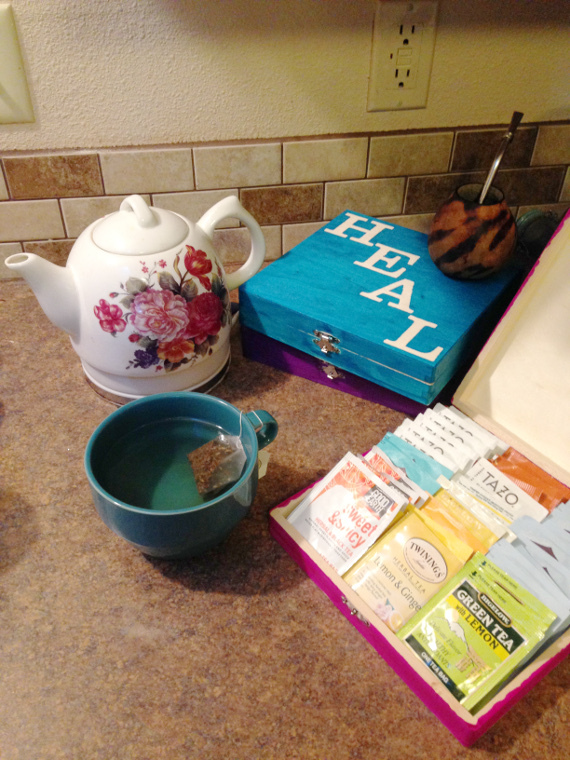 I needed a place to put all of this tea that’s easily accessible to the kettle and pretty. I decided to add a little organization too since we have so many different types. This entry was posted in Crafts, Home Decor and tagged Boxes, Kitchen, Organization, Painting, Storage, Wood on April 4, 2017 by Joselyn. By Guest Blogger Monica from MonicaRichards.tv. Monica Richards is an Eco-Baby Expert who is on a mission to keep your Little Ones safe in the only environment you can control – your home! With Eco-friendly products and beautiful nursery design for Baby, as well as natural beauty and green lifestyle hacks for You, Monica’s flipping your home into a chic, healthy one. Because Healthy equals Happy, and Happy starts at Home. Baby stuff is tiny! 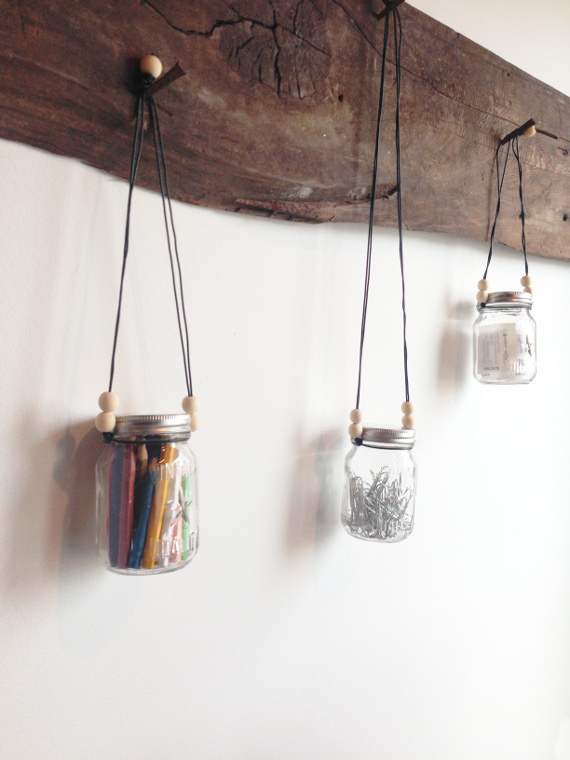 So, why not stay organized with these adorable mason jars?!! You can customize them any which way you’d like: ANY color, ANY animal (or insect) for the lid! These jars also make the sweetest gifts. And they’ll even look super chic on that gold and white desk of yours (think unicorns and metallic). 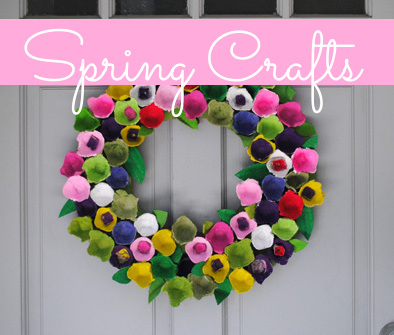 This entry was posted in Crafts, Home Decor, Recycled Crafts and tagged Organization, Spray Paint, Storage on March 23, 2017 by Guest Blogger. I have a coat rack over my desk, so I don’t really have room for art or anything to hang behind my computer. I still wanted something pretty to look at, though, so I decided to hang some things from the hooks. I’m all about function too and that’s how these minimal but pretty storage jars were created. This entry was posted in Crafts, Home Decor and tagged Craft Organization, Jar Crafts, Storage on February 22, 2017 by Joselyn. 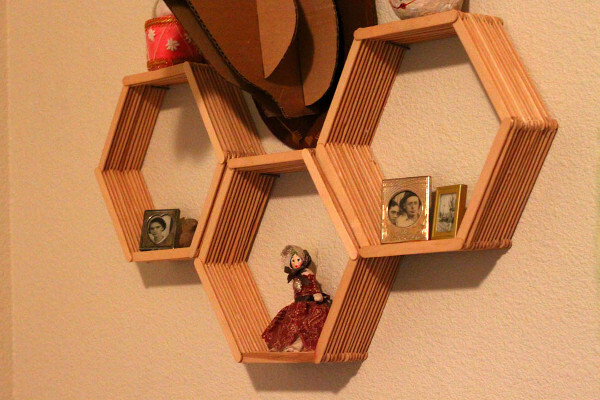 The humble popsicle stick, the foundation of many a children’s craft, is elevated to home decor status with this easy, and fun project. This entry was posted in Crafts, Home Decor, Wall Art and tagged Craft Sticks, Hot Glue, Storage on November 2, 2016 by Michelle. 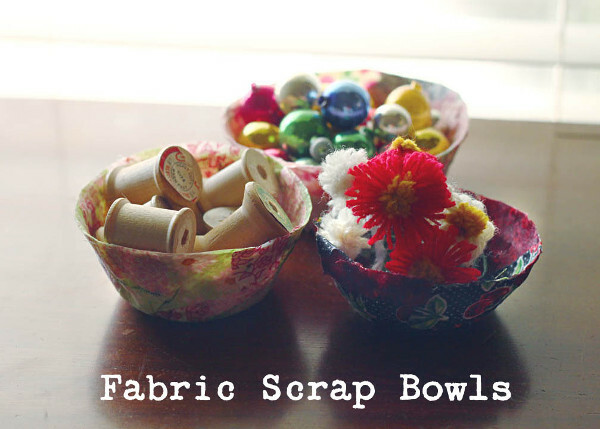 Here’s a fun project that’s great for using up all those pretty little scraps of fabric that you just can’t bear to toss. 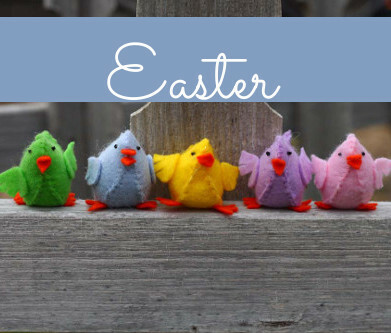 Fun and easy for kids or adults to make! This entry was posted in Crafts, Mod Podge, Recycled Crafts and tagged Fabric Scraps, Storage on September 14, 2016 by Michelle. Nothing makes me happier than creating something beautiful that also serves a function. I feel like I’m always much more proud of the projects I make that solve some sort of problem that I’m having. If you’ve got too much clutter in your office or your home, you’ve come to the right place for inspiration. I should say that I have a very minimalist and natural aesthetic, so while I find each and every item that I’m sharing beautiful, you might think they are a bit plain. I hope that you can find inspiration in everything, though, maybe you can infuse your personality into one of these projects! I feel like my life changed the moment I hung a key hook by the door of my first apartment. Never again did I have to miss the bus because I spent an extra minute or two looking for keys and I haven’t looked back. 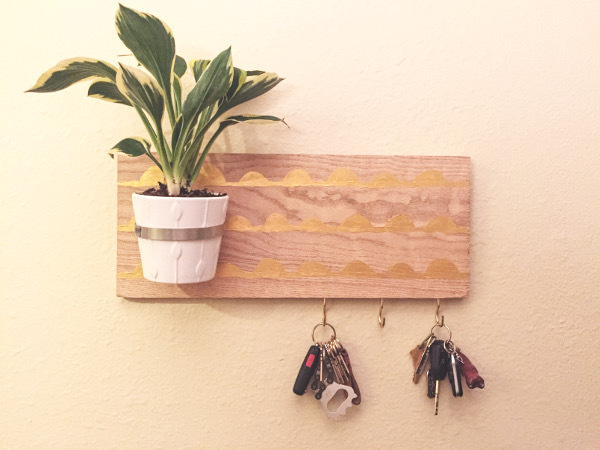 I love the natural wood and green of the plant on this key hook. It’s the perfect thing to welcome you home. This entry was posted in Craft Trends, Crafts, DIY gift ideas, Home Decor and tagged Organization, Storage on August 6, 2016 by Joselyn.